The Aurora Borealis arises from a stream of charged particles emitted from the Sun as solar wind. As they pass by Earth, a part of them is captured by the magnetic field and eventually spiral along the field lines into the atmosphere where they are stopped. In the interactions with the tenuous upper atmosphere, they excite the atoms and molecules of the various elements which emit visible photons when de-exciting. The color most commonly seen from the ground is green. This arises from oxygen excitation at an altitude of 100 - 200 km. 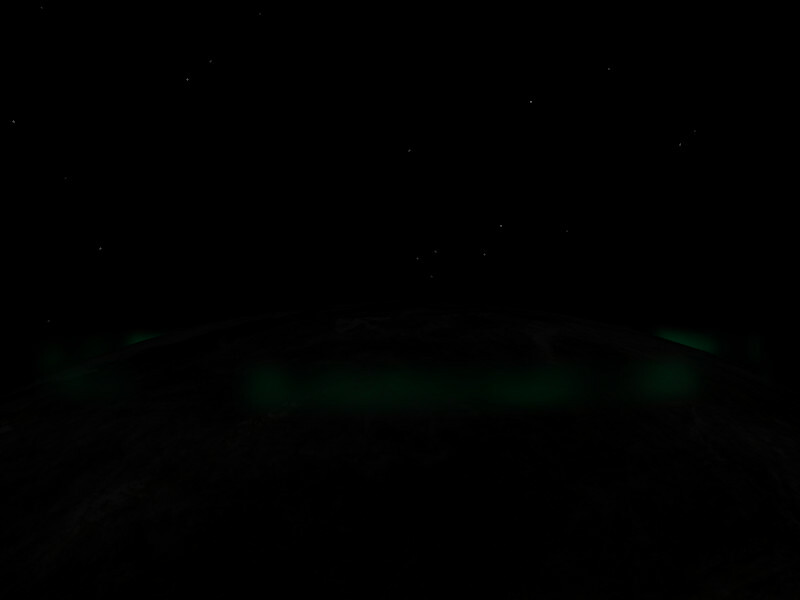 Diffuse form of Aurora Borealis seen from the ground. Seen from space, the aurora actually forms an oval roughly around the North Pole, tracing the region where the magnetic field lines enter the atmosphere. The display of lights is strongest at magnetic midnight (when the magnetic axis which isn't exactly at the pole points away from the sun). For overall weak solar activity, this leads to hardly visible lights. 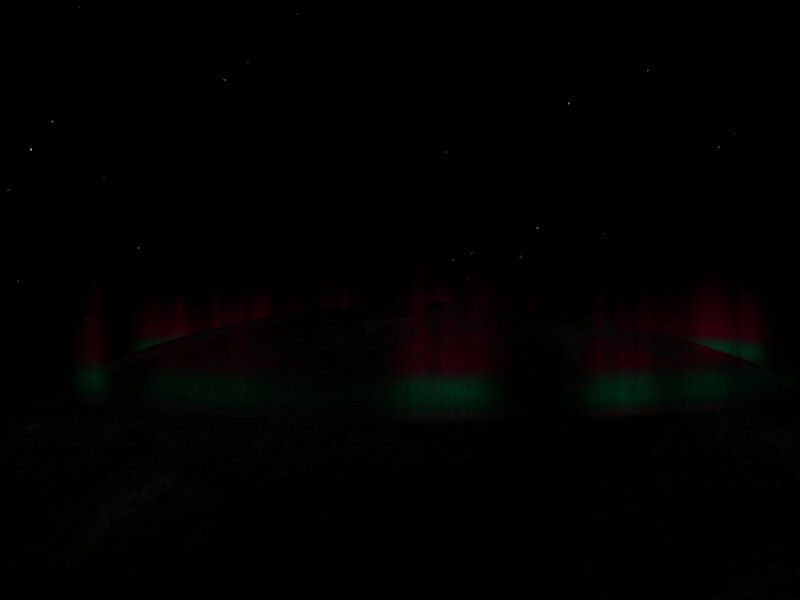 Weak Aurora around the North Pole. During a strong particle flux from the Sun, a solar storm, auroral activity is much more pronounced, also exciting a different mode in the oxygen, typically at altitudes between 150 up to 1000 km. While the lower green part of the aurora has a pronounced structure because the state responsible decays almost immediately, the red excited mode has a lifetime of about 100 seconds, giving ample time for diffusion to blur structure. 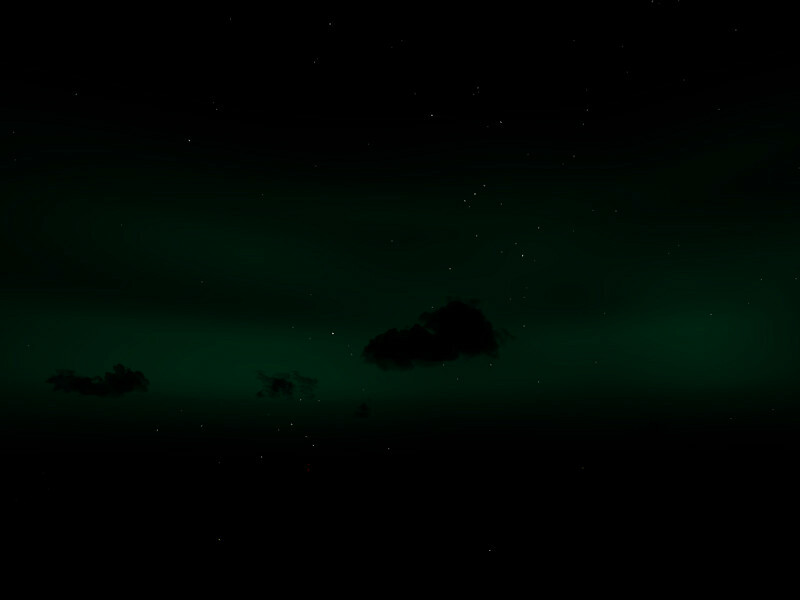 For that reason, green aurora often appears 'spiky' reflecting the field line geometry whereas red aurora hardly ever does. Finally, during strong activity, nitrogen excitation below 90 km altitudes can lead to a purple fringe at the lower end of the auroral arc during particularly strong activity. Strong Aurora storm around the North pole. A different consequence of the different state lifetimes is that whenever the particle flux momentarily ceases, the green emission ends almost immediately, but the read auroral display lingers for almost two minutes.  Under such circumstances, it may be possible to observe a purely red Aurora. Red Aurora in the aftermath of a sunstorm. 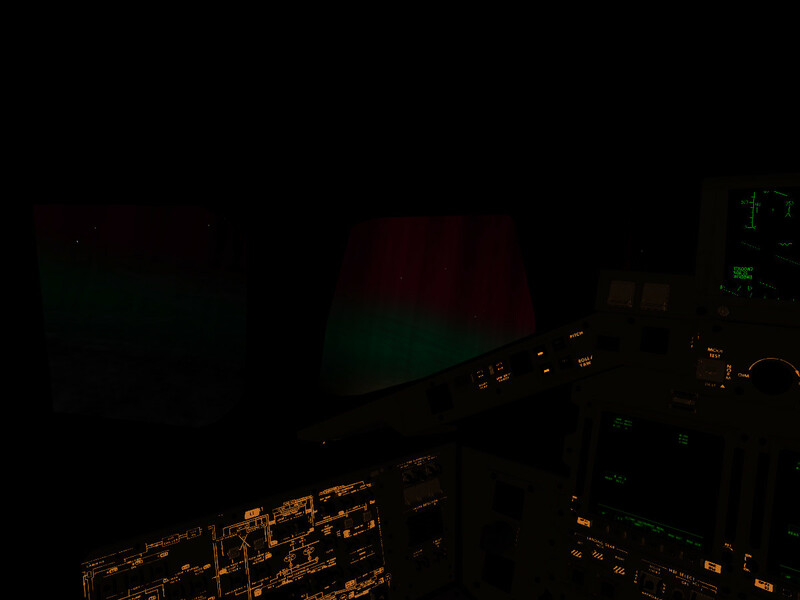 In Flightgear, the Aurora is modeled to show all these physics characteristics and respond with different colors and shapes to the various stages of a sunstorm. Seen e.g. from the Space Shuttle cockpit, it is a stunning addition to the visuals from space during the night portion of the orbit. Aurora display from the Space Shuttle cockit.